Established in 2002, LOPO Terracotta Corporation is mainly engaged in manufacturing, marketing and service of Terracotta Panel, Terracotta Facade Cladding System. 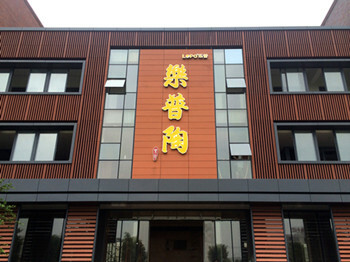 Until now, LOPO has set up 3 factories in Fujian province, including LOPO Terracotta Facade Panel, Terracotta Tile and Brick, LOPO Artificial Culture Stone. With excellent engineering team and skilled workers, LOPO continues to constantly innovate in the range of terracotta products. Independent development and innovation capacity are our source of infinite energy to keep our products improving and meet diversified needs of customers. 7.Imported molding machines of vacuum extrusion. Those years, our products have been well-received by our customers from all over the world. We have established strategic partnership with noted real estate companies in China, such as Vanke, Crland, Vantong, merchants Estate companies etc. Depending on our devoted services, qualified products and competitive prices, we have also won the approval of our distributors from Japan, Korea, Taiwan, HK, Malaysia, USA, Canada and Europe. Equipped with Italian production line, LOPO has adhered to more than 10 years’ experience of making the terracotta products. Today, LOPO has already become the leading manufacturer of terracotta facade panel in China. LOPO has set up a comprehensive and strict quality management system to ensure that every terracotta product is complying with CE standard during the production process. Each performance index of LOPO terracotta products meets and exceeds European standards. With our own factory and solid cooperative factories, high quality products, strong production capacity and considerate services, LOPO is capable of meeting customers’ requirements. OEM orders are welcome! With a professional and creative team, we also offer excellent services such as quality control, logistic service and sourcing to meet the requirements of different customers.